James Ellison. Join us to learn more about Burger King History as well as the McDonald's vs Burger King wars. Burger King history began back in 1954 in the town of Jacksonville, Florida where BK's predecessor called Insta-Burger King was founded. Since then, Burger King has flourished and grown into the world's second largest hamburger chain, and the third largest fast food company in the industry. With well over 12,000 restaurants in 73 countries around the world that serve an average of 11 million hungry guests every day, Burger King is second only to McDonald's in the hamburger business. This is the story of Burger King history, and how the company grew to the success it is today. In 1954, Jacksonville residents Keith Kramer and Matthew Burns, inspired by the success of the original McDonald's restaurant, started Insta-Burger King. The name came from a hamburger cooking device called the Insta-Broiler, which was required by all franchises to use. Kramer and Burns clearly saw the value in establishing a consistent system of delivering product to customers in each of their locations, just as McDonald's had been successful in doing with their franchises. The Burger King history began to take shape in 1959. Miami franchisees James McLamore and David Edgerton purchased the struggling original company, re-structured it and changed the official name to the Burger King Corporation. They set out to produce a better tasting hamburger by flame broiling them as opposed to frying them, eventually replacing all the Insta-Broiler machines with a new flame broiler appliance. The flame broiled method is still used by Burger King to this day. 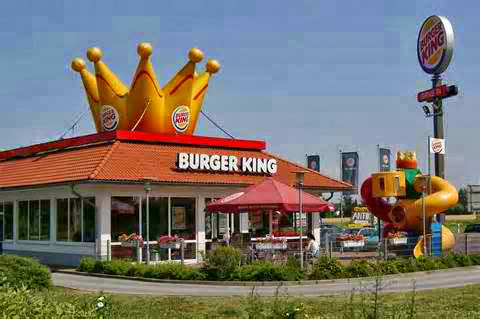 By 1961 BK had begun franchising restaurants across the United States. By 1967, McLamore and Edgerton had grown BK to 275 franchises across the country and, at that time, agreed to sell corporation to the Pillsbury Company. After Pillsbury took control, Burger King went through a number of changes as they sought to broaden the menu and standardize the actual restaurants. The success of Burger King history was somewhat of a roller coaster ride, and throughout the years the company has gone through a number of ownership changes. In 1989 it was purchased by a group out of the UK called Grand Metropolitan who then merged with Guiness to form Diageo PLC. 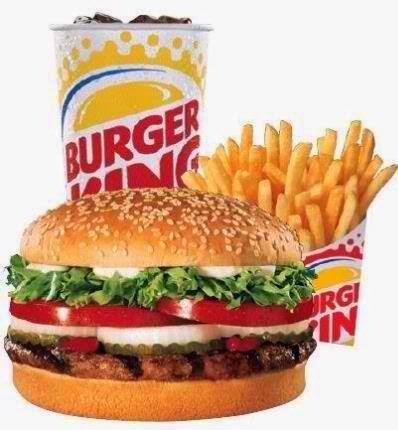 In 2002 BK was sold to an investment group led by the Texas Pacific Group who would take BKC public in 2006, and then eventually sell it to 3G Capital in 2010 for just over $3.2 Billion. Although BK did in some ways try to model itself after McDonald's history of standardizing menu production, they have also come up with a number of ways to set themselves apart and compete with their burger counterparts. Their 1974 campaign "Have It Your Way" was meant to attract customers who wanted to personalize their burger order and the slogan has remained through the years. They have also sought to promote their flame broiled burgers as better tasting than the fried versions offered by their competitors. Burger King's answer to the Big Mac is The Whopper which was first introduced in 1957. This popular sandwich, along with various versions such as the Junior Whopper, have been staples on the Burger King menu ever since. The "King" first appeared on the original Miami restaurant sign in 1955, and became an animated character in television commercials in 1960 when they began marketing to youngsters with their slogan "Burger King: Where Kids are King!". Version of this mascot have come and gone throughout the years. Similar to McDonald's, BK history has been formed by efforts to continuously evolve to meet the demands and desires of their customers, and the attempt to increase sales and market share. Their menu has seen additions such as fish and chicken sandwiches, an entire breakfast menu, chicken tenders and other side items, desserts, healthy choices such as salads, and other options that give their customers a broader selection. In 1975 BK began catering to motorists on the go by offering drive-thru window service, and international expansion began in 1963 when they opened a restaurant in Puerto Rico. This expansion would eventually lead to franchises in 73 different countries so far. BK comes in second only to McDonald's for number of hamburgers sold, and many people will argue that they actually serve a better tasting product. The company has come a long way since its inception in Florida, and in the highly competitive market of fast food, they are more than holding their own. I like their burgers at Burger King since they don't have typical flavors. Me too Franc! I like their burgers! I'm not really into burger, I guess I dine in there couple times. We don't go to fast food chain often. we try our best to stay away actually. I love BK than McDo. Although McDo is more "family-friendly" as they offer spaces where children can play while the parents can munch on the greasy burgers and fries. I think BKs more of that real burger than McDo. i am not a burger person, so I won't be able to tell much the difference :) i however love siopao, haha! What a long history! Eating at BK used to be a pig-out treat once in a blue moon. It's been years since the last and it won't happen ever again because I'm now a pescetarian. If you'll ask me, I would choose BK over McDonald's really. You won't get tired of the taste unlike McDonalds. I love their burger last month they just open 1 in the town in Phnom penh. It was super hit. I love their burger last month they just open 1 here in the City of Phnom penh it was a hit . Surely the new stall is printing money.